Welcome to the Institute for Software Research (ISR) at the University of California, Irvine. 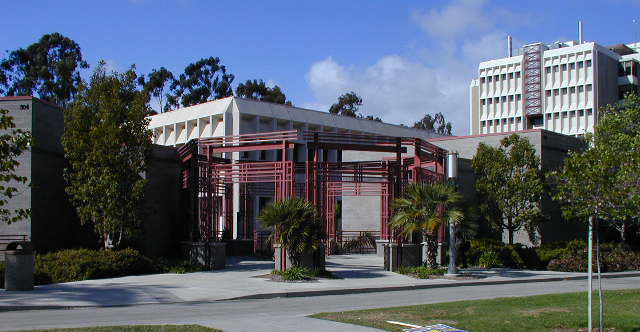 ISR is a Center in the Donald Bren School of Information and Computer Sciences. Our goal is to advance software and information technology through research partnerships. Here at ISR, we have become the intersection between cutting edge software research and real world practice. Over the years we have built an impressive community of academic software researchers and industrial innovators. ISR offers a range of opportunities for participation and engagement. We invite you to join us as we continue to transform the field of Software Engineering. This project explores a development process and cloud-based IDE for crowd development looking to apply the microtask crowdsourcing model to software development. This is event is co-sponsored by the UCI Cybersecuirity Policy and Research Institute (CPRI) and ISR. Keynote by Prof. Kevin Fu, University of Michigan on "The Physics of Sensor Cybersecurity"
The UCI Donald Bren School of Information and Computer Sciences (ICS) has announced the establishment of the Richard N. Taylor Graduate Award in Software Engineering. This is the first award in ICS specifically dedicated to software engineering. Prof. Cristina Videira Lopes has been named an IEEE Fellow for her contributions to ubiquitous and immersive programming. This honor is bestowed to nominees whose accomplishments have contributed importantly to the advancement or application of engineering, science, and technology, bringing the realization of significant value to society. Congratulations to Prof. Lopes! Prof. David Redmiles is hosting Prof. Tayana U. Conte from the Federal University of Rio de Janeiro, Brazil. Conte will be spending a year long sabbatical at UCI starting in February 2019. Here research interests are in software engineering and HCI. ISR Director Prof. Sam Malek gave a Keynote Address titled “The Threat in your Pocket: Trends, Challenges, and Solutions in Mobile Application Security” at the 25th Australasian Software Engineering Conference (ASWEC) and Australasian Software Week (ASW) in Adelaide, Australia in November.